Perhaps the central policy question for those of us studying education is: how can we raise levels of attainment? 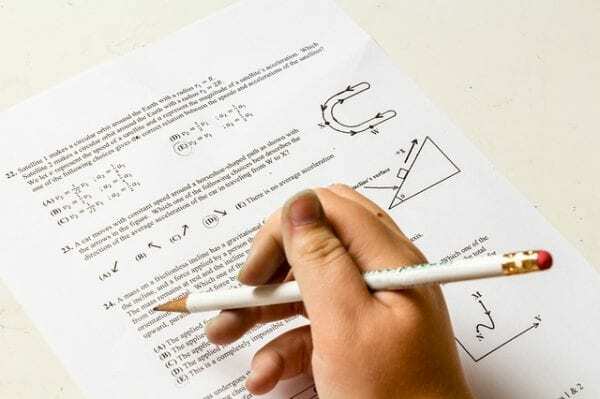 For long, the focus was almost solely on cognitive skills, but a line of recent research has looked at the interaction between such skills and non-cognitive factors (also called psychological traits), motivations, and culture in generating higher student achievement.A wide range of factors have been cited as being important, including perseverance, motivation, ‘locus of control’ or ‘self-discipline’, persistence, conscientiousness, sociability, and curiosity. Conscientiousness is perhaps the most useful psychological construct for studying achievement. Indeed, researchers have shown that a substantial fraction of the variation in scores in achievement tests can be explained by personality variables (Borghans et al. 2008, 2016). Yet studies of where these traits come from and how they develop are only in their infancy (see Schurer, 2017). In our paper, we contribute to this developing literature by studying an attitudinal variable that seems closely related to conscientiousness, zeal, motivation, and self-control: attitudes to education. We study students’ attitudes to school and personal correlates of these characteristics, exploiting England’s PISA sample covering over 4,500 adolescents. We find that a key driver of positive attitudes to education is immigration status. Immigrant students have quantitatively and statistically significantly more positive attitudes to education than native students, a difference that amounts to about 0.2 standard deviations. This difference is pervasive and does not appear to operate through other observable pupil characteristics, including their socio-economic background, or particular schools’ policies towards these students. There is also no sign of any differences between first- and second-generation immigrants. We interpret the immigrant attitudinal advantage as deriving from the intergenerational transmission of cultural traits from the emigrating parents to the children. The act of emigration is selective in terms of personal attributes and allows parents to exhibit both aspiration and internal locus of control, displaying to their children that actions and attitudes matter at a very tangible level. Additionally, researchers have shown that major life experiences – which would surely include the act of emigration – can change psychological traits. Furthermore, we highlight how our results may be a part explanation for the so-called ‘London advantage’ in achievement. The impressive performance of students attending secondary schools in London has prompted much debate, in particular whether the advantage is due to educational practices and policies (CfBT, 2014), the high fraction of children of immigrants (Burgess, 2014), or reforms in primary schools (Blanden et al., 2015). Interestingly, we find that students in London have much better attitudes to education on average compared with students in the rest of the country. However, this difference is entirely accounted for by immigration status: London has more immigrant pupils and therefore also more positive attitudes to education. This finding supports Burgess’ (2014) finding that the ‘London effect’ is largely due to schools’ ethnic composition. Third, we consider whether immigrants’ positive attitudes toward education are contagious. While our research design does not allow us to draw strong causal conclusions in this respect, the results suggest that immigrant students have positive attitudinal spill-over effects on non-immigrant students. How these spill-over occur is an important question to investigate to develop public policy which might support dissemination of more positive attitudes to education overall. This entry was posted in Children and families, Education and tagged attainment, children, education, English as a secondary language, immigrants, Research, students by policybristol. Bookmark the permalink.